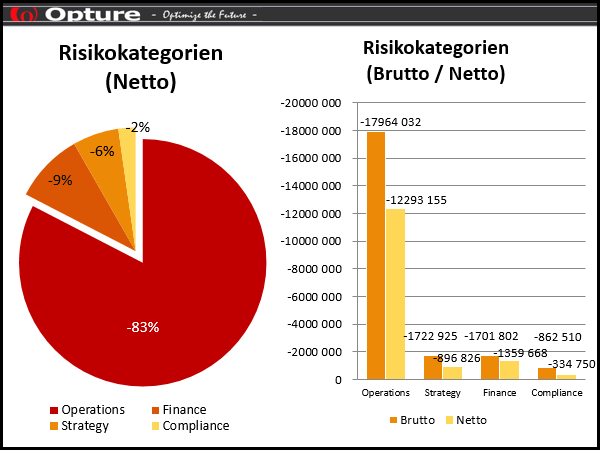 Risk management software "Opture ERM Basic"
The Opture ERM Basic Version is a risk management software solution for "software-starters". With this software application existing and customer-specific methods and processes can be transferred and converted into a professional and web-based system. The Opture Basic Version maps all the risk management processes (identification, evaluation, analysis, steering, reporting, monitoring) and provides the basis for all modular extensions. 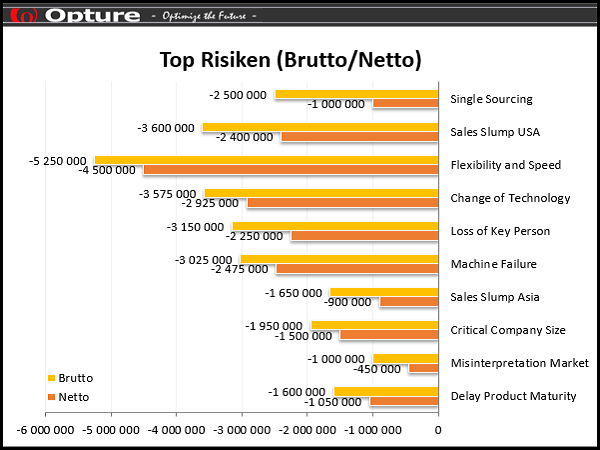 By calculating gross and net average values, the Opture ERM Basic Version provides an overall view of the relationships between the company&apos;s organisational and operational structures, risks and risk owners, and thus enables the derivation of efficient steering measures. The risk map contains the Top 10 risks before and/or after mitigation measures. 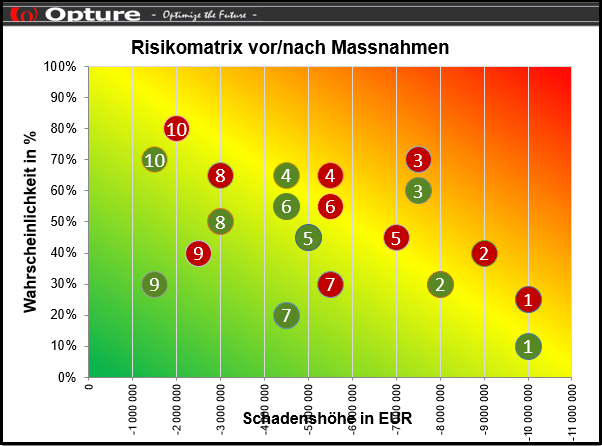 Opportunities or normal or log-normal distributed risks (-> mean value "0") are not generally mapped in the risk map. The comparison of gross and net average values illustrates the risk exposures before and after the implementation of mitigation measures and thus shows the mitigation effects. The presentation of the risk results by risk categories illustrates the substantive distribution of the Enterprise risk exposure according to its functional origin. Order your free personal software presentation or a cost-free demo now. Authorised users can individually configure and independently administrate the software, without external support. 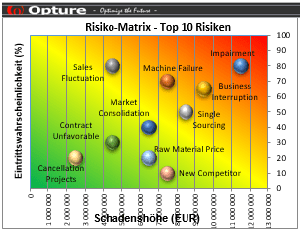 Opture includes an innovative concept for the efficient management of risks at individual risk and holding level. Opture is intuitive to use. The logical structure allows the user to perform his/her tasks quickly and easily. Opture can gradually be extended from a simple entry-level software through to the expert software. In Opture, any organizational structure can be mapped and modified at any time. Opture includes a detailed role and client-enabled authorisation concept for access rights.